Put the first 10 ingredients in a food processor, and pulse until they form spice paste. In a large saucepan, heat the oil over medium heat and stir fry the spice paste until fragrant. Pour in coconut milk and chicken stock into the saucepan. Add chicken pieces, salam leaves, cloves and tamarind pulp, mix well and bring to boil. Reduce the heat, cover the saucepan and continue cooking, stirring occasionally, until the sauce becomes very thick and oily, about 1 hour. Season with salt. Serve hot with steamed white or brown rice. 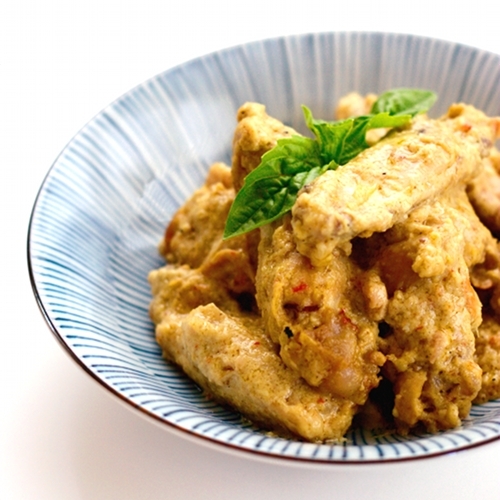 Looks very tasty, I've never tried Indonesian cuisine, and I am pleased to prepare this recipe, thanks. Free steam wallet codes are the dream of any big playing game, these codes add cash to your steam wallet steam wallet gift card add money to your wallet.